As Australia’s largest supplier of steel wedged products our range of air bag suspension wedges are custom made to perfectly suit your needs and will follow our Steel Wedge Detail specification. 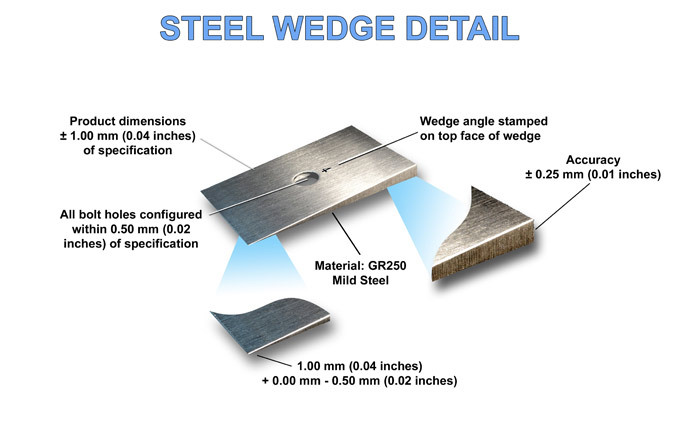 The low side will be machined to 1.0 mm or less and the high side to within 0.20mm (0.01”) of specification. 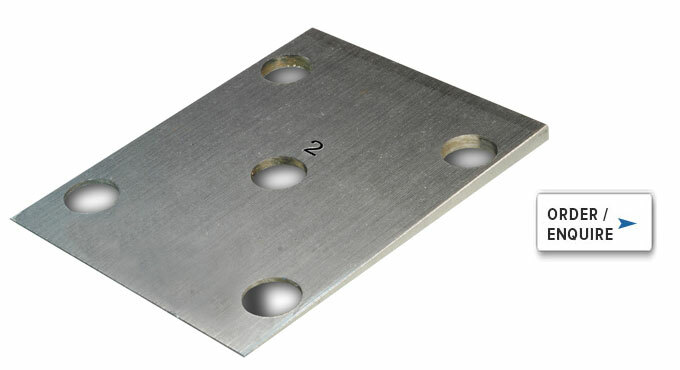 General dimensions are 175 mm x 135 mm with locating bolt holes to suit.